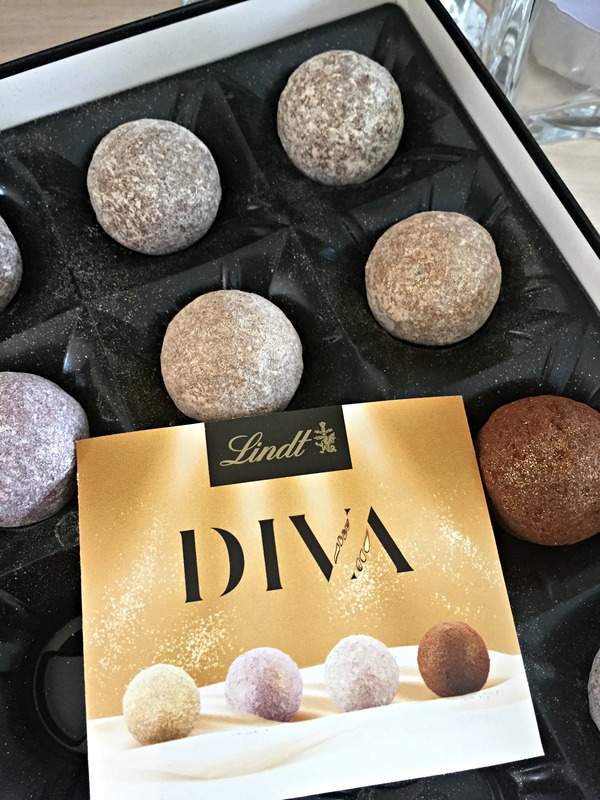 For all chocolate lovers I would like to show you this unique, stylish truffle selection from LINDT – Lindt Chocolate Box Diva . 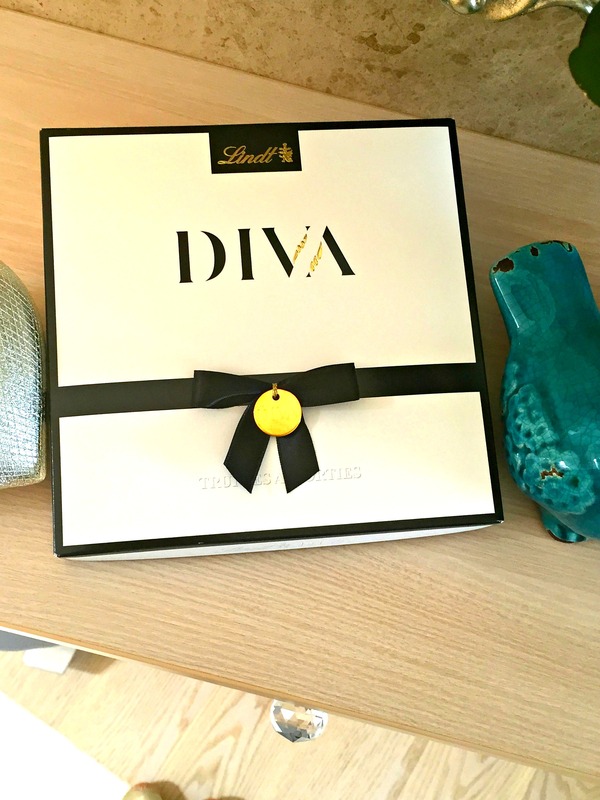 In the middle of box with an elegant ribbon and gold pendant making LINDT DIVA the queen of pralines, you will find 16 of truffles in four flavours: Truffle Irish Cream, Truffle Rosé Marc de Champagne, Truffle Marc de Champagne and Truffle Chocolat, each finished with a dust of gold. They taste and look gorgeous! 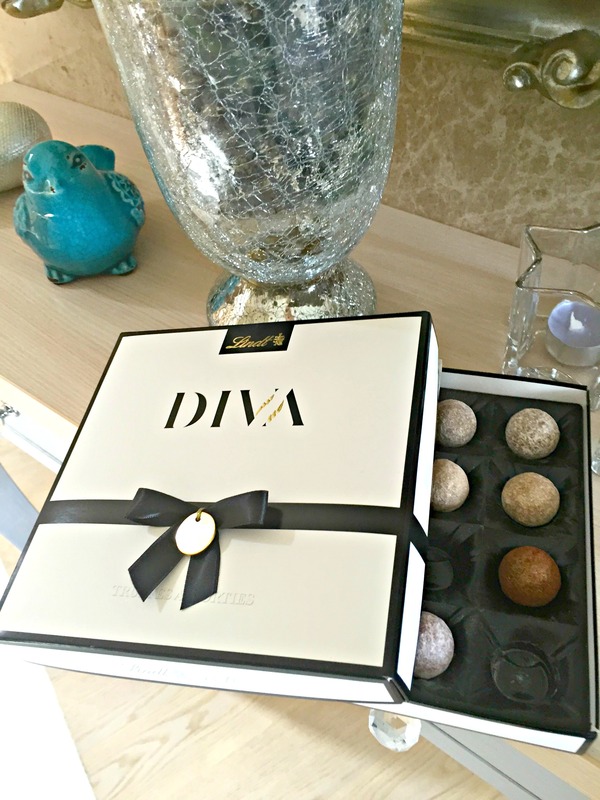 A real chocolate treat ….